Are you looking for medical care tailored to your individual needs? Tired of being rushed through medical appointments and not getting the answers you seek? 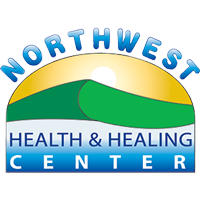 Northwest Health and Healing Center in Corvallis, Oregon provides integrated care that helps you get and stay healthy. With services that include chiropractic care, nutritional counseling, acupuncture, massage therapy, orthopedic care, and counseling, Northwest Health and Healing Center’s doctors and medical professionals treat your whole body, not just your symptoms.